Shayon Jalayer has coached at every level and it shows in his dedication and love for the game of soccer. Since leaving the professional and collegiate ranks, Jalayer has made it his mission to help groom young players as an opportunity for them to reach the next level. 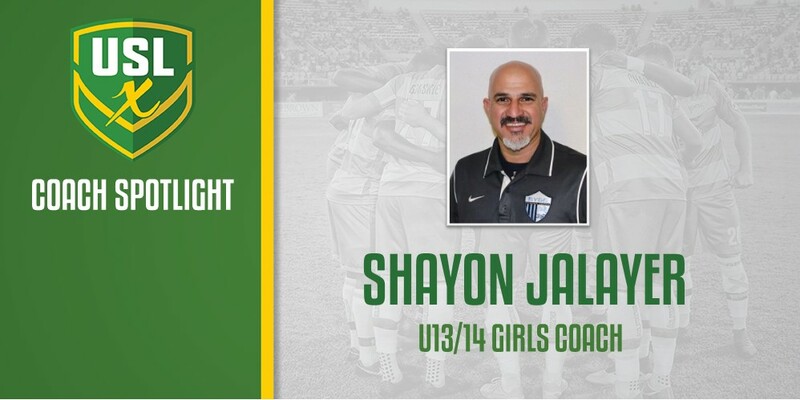 Jalayer, who will coach the U13/14 Girls team at the 2019 USL Experience in April, has been around some of the game’s best both as a player and coach. Meanwhile, during his playing career, Jalayer became the youngest player to sign a pro contract in the now-defunct American Soccer League when he joined the Washington Stars at the age of 17. For the former soccer and futsal player, Jalayer believes USLX provides its players with great exposure to an environment that will only aid their growth in the future. Jalayer and BYSC Corona entered Super Y League in 2018, and the opportunity has already presented the club and its players with a number of opportunities to showcase their talents on a wider scale. That included two of Jalayer’s teams, the 2002 Girls and 2001 Boys, both reaching the Super Y League North American Finals in December. Those two teams had the chance to compete against the best from around the United States and Canada on a multi-day platform. ​“We could not have asked for a better first year,” Jalayer said. “The coordinators and support we received were second to none and on a personal note to have two teams from within our club go to the Super Y League North American Finals, Our Girls 2002 Finalists and our Boys 2001 Champions, was just icing on the cake.